Caleb, Tammy Tvetene, Polly (in Tammy’s lap), Nora. The excitement of summer is here and for many of us, weekends away and vacation plans are a part of the excitement. One important factor in planning for vacation is who will care for your pets while you are away. Critter Sitters of St. Louis is my recommendation and Planet Pet Pick for June. This all-in-one pet care service offers superior in-home pet sitting services, dog walking services, in-home dog training, and even pooper scooper services. All bases are covered for you and your pets with Critter Sitters. Critter Sitters is a family run business founded in 1994 to provide peace of mind to pet owners and to offer the best care possible for healthy pets and happy owners. They have grown to have 21 sitters around the greater St. Louis area, making it possible to provide a pet sitter with close proximity to the pets they serve. What sets Critters Sitters of St. Louis apart from many other pet sitting services is that all of their sitters are extensively screened employees, not independent contractors. This is important when choosing a pet sitter that you know can be trusted with your pets and your home. 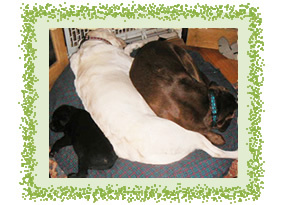 The in home pet sitting that Critter Sitters provides really is the most ideal option for you and your pets. Tammy Tvetene, President of Critter Sitters said it best when describing the benefits of their service, “having your pets remain in their home environment while you are away eliminates stress, maintains their diet and exercise routine, and keeps them from exposure to illnesses from other animals.” When you contact Critter Sitters, they will set up a complimentary initial visit to get to know you and your pet. It is recommended you contact them two weeks prior to your travel to give time to set up this appointment. Critters Sitters understands that your pet forms a bond with their sitter so they want to get to know your pets, their routines, and the things you want done while you are away. They even offer to do basic home care while you are gone, such as bringing in your mail, watering plants, alternating lights and blinds, and other reasonable requests. The care and attention given to the needs of your pets and your family are what makes Critter Sitters unique. The dog walking services and puppy care services are an ideal solution to long work days or times when you can’t get home to personally get your dog or puppy outside. Critter Sitters will come and let your dog or puppy out, play with him or her, offer food and water, and keep the potty training schedule or walking routine on track. They also provide amazing in home training for your dog or puppy. I asked President, Tammy Tvetene what was the advantage of in home training? 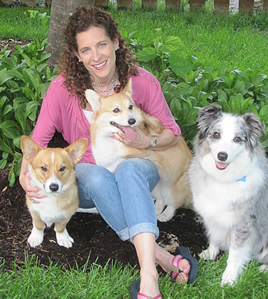 She responded, “Home is where dogs act like themselves, so it benefits the owner and pet to be in their own environment.” Critter Sitters trainer, Beth Oppermann will work on the behavior and training issues that you request. She works with your pet five consecutive days, one day with you and your pet, one day off, and then repeats the schedule for another week. This is optimum for training because the consistency and repetition helps your pet to develop and maintain the new “rules.” The individual attention your pet receives without distractions is essential when developing lifelong skills. I have witnessed the direct results of training with Beth and can tell you that she is life changing when it comes to a pet with manners. Beth has a Masters in Advanced Obedience Training and Search and Scent Training, and this is evident when you see the results for your dog or puppy. Be sure to contact Critter Sitters about two weeks in advance to set up your personal training sessions. The health and wellness of your pet is the primary focus of Critter Sitters, but they also provide a service to improve the environmental impact as well. Their pooper scooper service enables you to keep your pet’s waste from ruining your lawn, washing into the water system, and spreading disease. Dog feces can carry heartworm, roundworm, tapeworms, parvo, and many other parasites. In addition to scooping your yard, Critter Sitters will disinfect and deodorize decks, patios, dog runs, and kennels. Once you have set up your scooping schedule, Critter Sitters will clean up, bag it, and take it with them when they leave. You will receive a door hanger so you know exactly when your yard was scooped. Leave the mess to the best when you use Critter Sitters. Enjoy peace of mind and unparalleled service when you contact Critter Sitters for your pet’s needs. This incredible business has been honored two years in a row as an Awards Winner on Angie’s List (a word of mouth web site), which says a lot about their client’s positive experience. Critter Sitters also donates a portion of their profits to local pet rescue groups and works with MOKAN Border Collie Rescue, as well as Pet’s Second Chance Corgi Rescue. They are truly compassionate about pets!